Zhoukoudian is an important Homo erectus site, a stratified karstic cave and its associated fissures located in Fangshan District, about 45 km southwest of Beijing, China. The Chinese name is spelled a variety of ways in the older scientific literature, including Choukoutien, Chou-kou-tien, Chou-k'ou-tien and today it is often abbreviated ZKD. To date, 27 paleontological localities–horizontal and vertical concentrations of deposits–have been found within the cave system. They span the entire Pleistocene record in China. Some contain the hominin remains of Homo erectus, H. heidelbergensis, or early modern humans; others contain faunal assemblages important to understanding the progress of climate change throughout the Middle and Lower Paleolithic periods in China. A handful of the localities have been well-reported in the English-language scientific literature, including the localities with many hominin remains, but many have not yet been published in Chinese, let alone English. 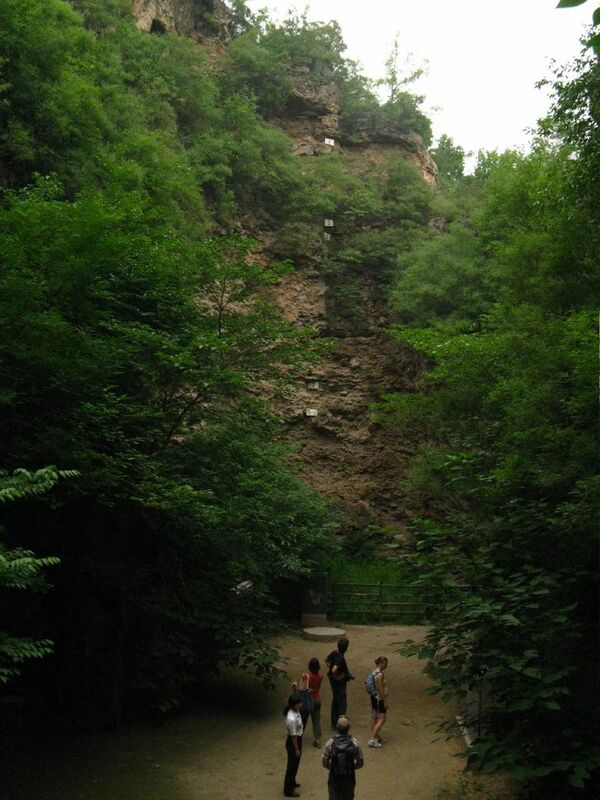 Locality 1, Longgushan ("Dragon Bone Hill") is where the H. erectus Peking man was first discovered in the 1920s. Gezitang ("Pigeon Hall" or "Chamber of the Pigeons"), where evidence for controlled use of fire and many of the stone tools from ZDK, is also part of Locality 1. Locality 26, the Upper Cave, contained early modern humans associated with a rich cultural material. Locality 27, or Tianyuan Cave is where the earliest Homo sapiens fossil remains in China were discovered in 2001. Locality 13 is an early Pleistocene site; Locality 15 is Late Middle Pleistocene and early Late Pleistocene site, and Localities 4 and 22 were occupied during the Late Pleistocene. Localities 2–3, 5, 12, 14, and 19–23 do not have human remains but do have faunal assemblages which provide environmental evidence for Pleistocene China. The best reported of the localities is Dragon Bone Hill, where Peking Man was discovered. ZKD1 contains 40 meters (130 feet) of sediment representing the paleontological occupation of the locality between 700,000 and 130,000 years ago. There are 17 identified strata (geological layers), containing remains of least 45 H. erectus and 98 different mammals. Over 100,000 artifacts have been recovered from the site, including over 17,000 stone artifacts, most of which were recovered from layers 4 and 5. Scholars often discuss the two main occupations as Middle Paleolithic (mainly in layers 3–4) and Lower Paleolithic (layers 8–9). Layers 3-4 (Middle Paleolithic) has been dated by the Uranium-series method to 230–256 thousand years ago (kya) and by thermoluminescence to 292–312 kya, or (representing Marine Isotope Stages MIS 7-8). These layers included a succession of silts with e\clay and sands rich in phytoliths (a type of plant residue), burned bone and ashes, likely evidence of intentional fire, and were laid down during a period of warm to mild climate with open grassland, some temperate forest. Layers 8-9 (Lower Paleolithic) consisted of 6 m (20 ft) of limestone and dolomitic rockfall debris. Aluminium/Beryllium dating of quartz sediments returned dates of 680-780 kya (MIS 17-19/Chinese loess 6-7) which match a faunal assemblage that suggested cold-climate fauna with steppe and forest environments and a trend over time towards increasing grasslands. The environment included a mixed c3/c4 vegetation and strong winter monsoons, and a diversity of large mammals, including non-human primates. Reassessment of the stone tools at ZDK has contributed to the abandonment of the so-called Movius Line—a theory from the 1940s that argued that the Asian Paleolithic was a "backwater" that made no complex stone tools such as those found in Africa. The analysis indicates that the assemblages do not fit a "simple flake tool" industry but rather a typical early Paleolithic core-flake industry based on poor-quality quartz and quartzite. A total of 17,000 stone tools have been recovered to date, mostly in layers 4–5. Comparing the two main occupations, it is apparent that the older occupation in 8–9 has larger tools, and the later occupation in 4–5 has more flakes and pointed tools. The main raw material is non-local quartzite; the more recent layers also exploit the local raw materials (chert). The percentage of bipolar reduction artifacts discovered in layers 4–5 indicate that freehand reduction was the dominant tool-making strategy, and the bipolar reduction was an expedient strategy. All of the early Middle Pleistocene human remains recovered from Zhoukoudian came from Locality 1. A whopping 67% of the human remains exhibit large carnivore bite marks and high bone fragmentation, which suggests to the scholars that they were chewed by the cave hyena. Locality 1's Middle Paleolithic residents are thought to have been hyenas, and humans only lived there sporadically. The first discovery of humans at ZDK was in 1929 when Chinese paleontologist Pei Wenzhongi found the skullcap of Peking Man (Homo erectus Sinathropus pekinsis), the second H. erectus skull ever found. The first-ever discovered was Java Man; Peking Man was the confirming evidence that H. erectus was a reality. Nearly 200 hominin bones and bone fragments have been recovered from ZDK1 over the years, representing a total of 45 individuals. Most of the bones found before World War II were lost under unknown circumstances. Scholars identified evidence for the controlled use of fire in Locality 1 in the 1920s, but it was met with skepticism until the confirming discovery of even older Gesher Ben Yakot in Israel. Evidence for the fire includes burned bones, burned seeds from the redbud tree (Cercis blackii), and deposits of charcoal and ash from four layers at Locality 1, and at Gezigang (Pigeon Hall or Chamber of Pigeons). Discoveries since 2009 in Middle Paleolithic Layer 4 have included several burned areas which can be interpreted as hearths, one of which is outlined by rocks and contains burned bones, heated limestone, and lime. The most recent dates for ZDK1 were reported in 2009. Using a fairly new radio-isotopic dating technique based on decay ratios of aluminum-26 and beryllium-10 in quartzite artifacts recovered within the sediment layers, researchers Shen Guanjun and colleagues estimate the dates of Peking Man as between 680,000-780,000 years old (Marine Isotope Stages 16–17). The research is backed up by the presence of cold-adapted animal life. The dates mean that the H. erectus living in Zhoukoudian would have had to also have been cold-adapted, additional evidence for the controlled use of fire at the cave site. In addition, the revised dates inspired the Chinese Academy of Sciences to begin a new long-term systematic excavation at Locality 1, using methodologies and with research aims undreamt of during Pei's excavations. The original excavations at ZKD were led by some of the giants in the international paleontological community at the time, and, even more importantly, were the first training excavations for the earliest paleontologists in China. Excavators included Canadian paleontologist Davidson Black, Swedish geologist Johan Gunnar Andersson, Austrian paleontologist Otto Zdansky; the French philosopher and cleric Teilhard de Chardin was involved in reporting the data. Among the Chinese archaeologists at the excavations were the father of Chinese archaeology Pei Wenzhong (as W.C. Pei in the early scientific literature), and Jia Lanpo (L.P. Chia). Two additional generations of scholarship have been conducted at ZDK, the most recent excavations ongoing in the 21st century, international excavations led by the Chinese Academy of Sciences beginning in 2009. ZKD was placed on UNESCO's World Heritage List in 1987. Dennell, Robin. "Life without the Movius Line: The Structure of the East and Southeast Asian Early Palaeolithic." Quaternary International 400 (2016): 14-22. Print. Gao, Xing, et al. "Geophysical Investigations Identify Hidden Deposits with Great Potential for Discovering Peking Man Fossils at Zhoukoudian, China." Quaternary International 400 (2016): 30–35. Print. Gao, Xing, et al. "Evidence of Hominin Use and Maintenance of Fire at Zhoukoudian." 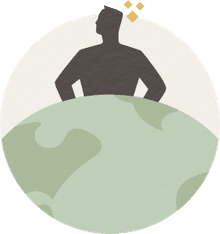 Current Anthropology 58.S16 (2017): S267–S77. Print. Li, Feng. "An Experimental Study of Bipolar Reduction at Zhoukoudian Locality 1, North China." Quaternary International 400 (2016): 23–29. Print. Shen, Chen, Xiaoling Zhang, and Xing Gao. "Zhoukoudian in Transition: Research History, Lithic Technologies, and Transformation of Chinese Palaeolithic Archaeology." Quaternary International 400 (2016): 4–13. Print. Shen, Guanjun, et al. "Age of Zhoukoudian Homo Erectus Determined with 26al/10be Burial Dating." Nature 458 (2009): 198–200. Print. Zanolli, Clément, et al. "Inner Tooth Morphology of Homo Erectus from Zhoukoudian. New Evidence from an Old Collection Housed at Uppsala University, Sweden." Journal of Human Evolution 116 (2018): 1–13. Print. Zhang, Yan, et al. "The Use of Fire at Zhoukoudian: Evidence from Magnetic Susceptibility and Color Measurements." Chinese Science Bulletin 59.10 (2014): 1013–20. Print.